If you still think esports are not a legitimate profession, think again. China’s Ministry of Human Resources and Social Security announced last month that it will now recognize 15 new professions, two of which are in the realm of esports. Esports professionals and esports observers were welcomed in the same breath as A.I. engineers and drone pilots. But at the end of the day, why does that matter? The Chinese government validating a bunch of nerds playing World of Warcraft in their mom’s basement doesn’t necessarily make esports a legitimate profession. The second season of the Overwatch League started last night. Regardless of your stance on esports, no one can deny that it is a profitable business. Players, owners and coaches are making money (and a lot of it) off of video games, but the Overwatch League in particular presents one of the most intriguing business models in esports for a couple of reasons. First and foremost, Blizzard Entertainment, the company that created “Overwatch,” has done a wonderful job marketing the league to the typical esports viewer. In its inaugural season of “Overwatch” last year, Blizzard compiled the world’s best players into 12 teams and two divisions. This year, they have expanded the league to 20 teams. Starting small and expanding with demand, Blizzard was able to test the market and understand where to spend their energy. One of my biggest gripes with esports is that the tournament’s major/minor system most leagues use is way too confusing. I avidly watch and play several different esports video games. If I, or other esports fans, have a tough time understanding how everything fits together, it’s just proof that the barrier to entry is excessively high. By creating a league with a simple and easy-to-understand schedule format, the OWL instantly made itself one of the easiest esports to follow. While there are 20 teams representing different cities and countries, like the Los Angeles Gladiators, Florida Mayhem and London Spitfire, all of the teams play in the same arena. At first glance, this may seem like a downfall to the league, but in reality, it is what will make it successful. By keeping these 20 teams in one location and one arena, Blizzard can easily control every aspect of the league and fan experience. OWL is incredibly experimental and spreading itself too thin would lead to its demise. From a pure economical standpoint, it’s genius. 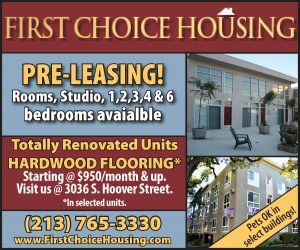 OWL doesn’t have to finance infrastructure in multiple cities, accommodate travel or worry about a negative response to the market in a particular city. Although these teams are all branded to different cities and states, all of their home games are played in Los Angeles (Burbank, to be exact). This facade of hometown teams allows Blizzard to test the interest of the market in various cities. The beauty of streaming sports on platforms like Twitch.tv is that companies can pinpoint exactly who’s watching. The streaming platform’s metrics offer incredibly detailed data. So if one city is particularly averse to the OWL, Blizzard can respond accordingly by removing a franchise team representing that location. Using this data, Blizzard can also determine where the best locations to open new arenas will be, as they start to expand the league outside of Los Angeles. Last year, I was fortunate enough to cover an OWL match for the Daily Trojan. Admittedly, I didn’t know what was happening. My esport of choice at the time was “Counter Strike,” and the two games could not be more vastly different. I was there to cover the meet-and-greet between the Los Angeles Gladiators and USC’s esports club. Regardless of my lack of knowledge, I was shocked by Blizzard Arena and the Overwatch League. While sitting in the press room, I quickly began to catch on to how Overwatch is played, and I had some great conversations with fans and other journalists about the new league. The arena was packed with screaming fans of all ages, thundering voices from the exuberant commentators and eager players highly focused on their games. I thoroughly enjoyed the experience. Tickets are relatively cheap, and games are streamed for free on Twitch. I was skeptical of esports at one point, too, but the OWL and similar leagues have proven themselves — without a doubt, they will quickly dominate the sports industry in the near future. 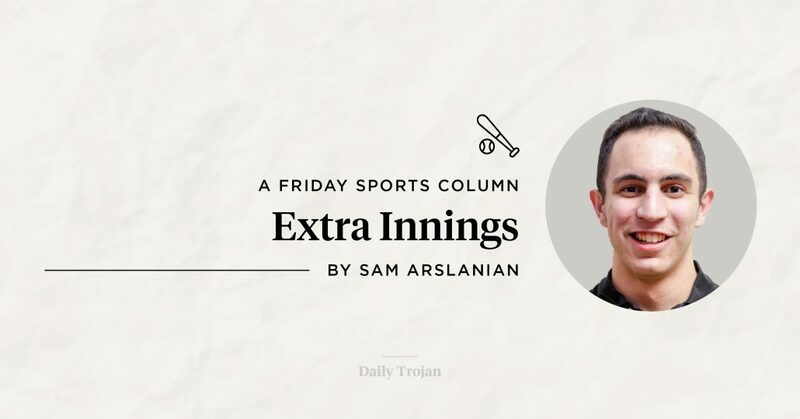 Sam Arslanian is a sophomore writing about sports. His column, “Extra Innings,” runs Fridays.